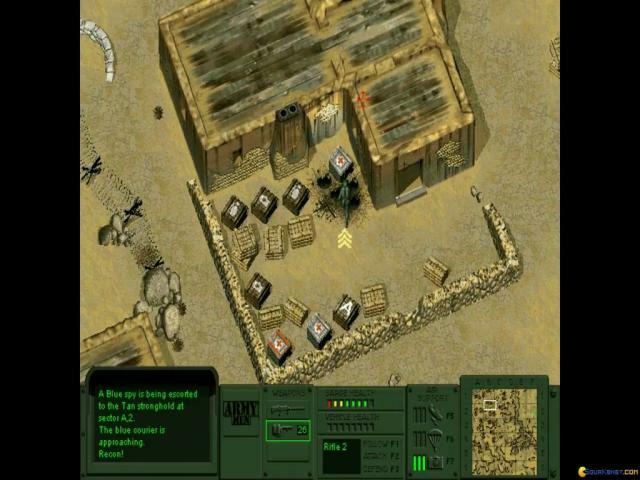 Full name being Army men, it is the first in a long series of games released by 3DO (who also came out with the game Heroes of Might and Magic 3) and arguably the best and most popular one. 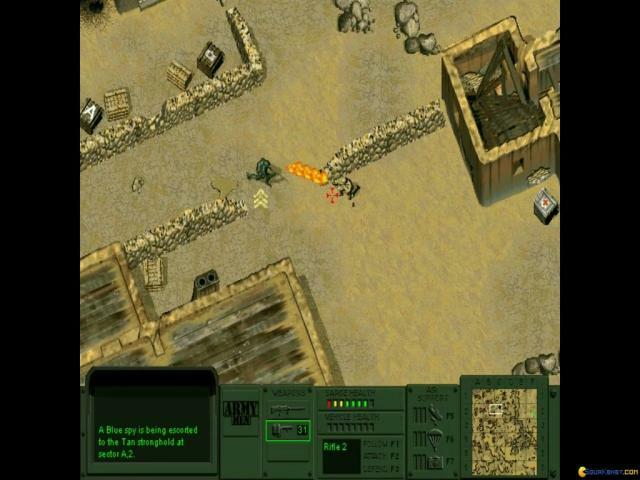 The green army are usually the protagonist, the Tan are the antagonists, and other differ depending on the gameplay. 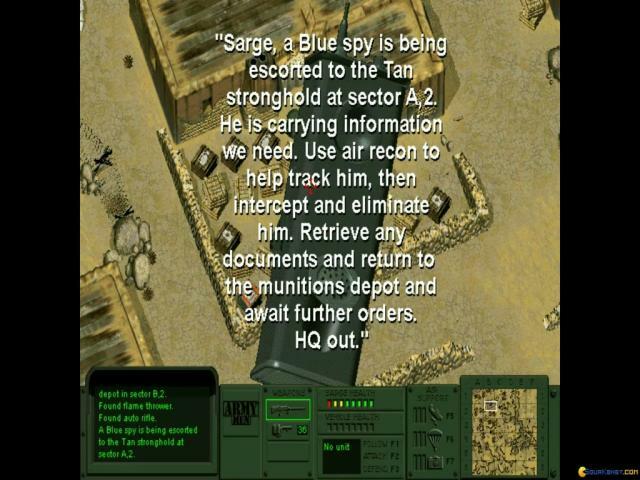 You are put in the role of Sarge, the head of the Green faction, in a series of missions against other factions. 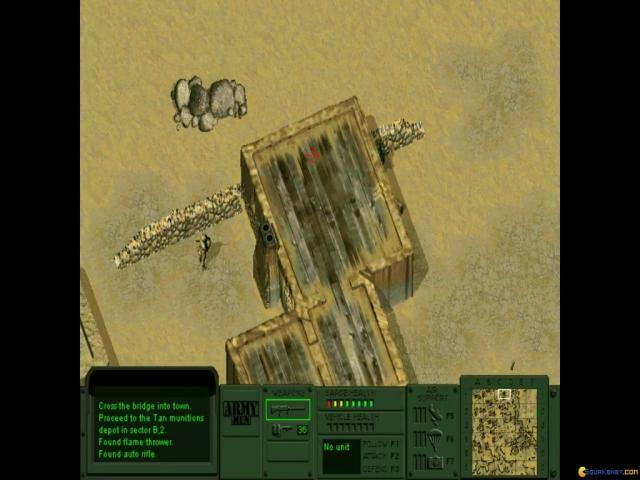 There is only one huge campaign that spans over huge maps and a lot of action and killing. 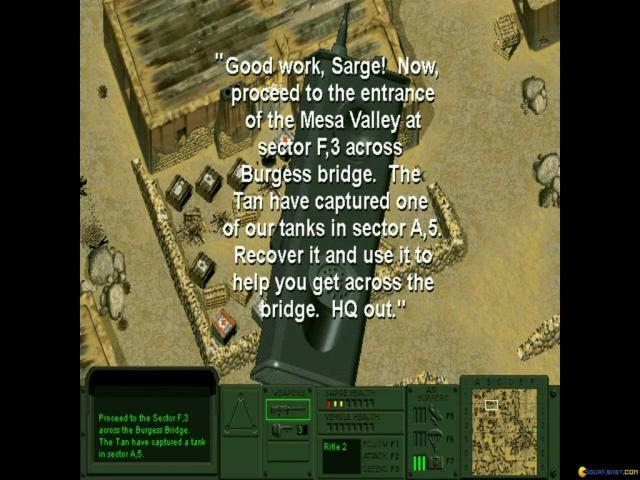 Sarge is the main dude, he can carry three different weapons and he controls other soldiers from his team. 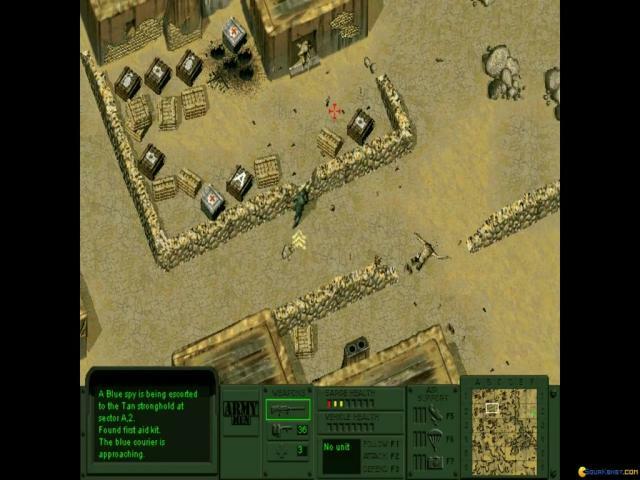 To get acquainted with the game, there is a boot camp scenario that lets you know what does what and what is the use of each weapon on a big interface panel. 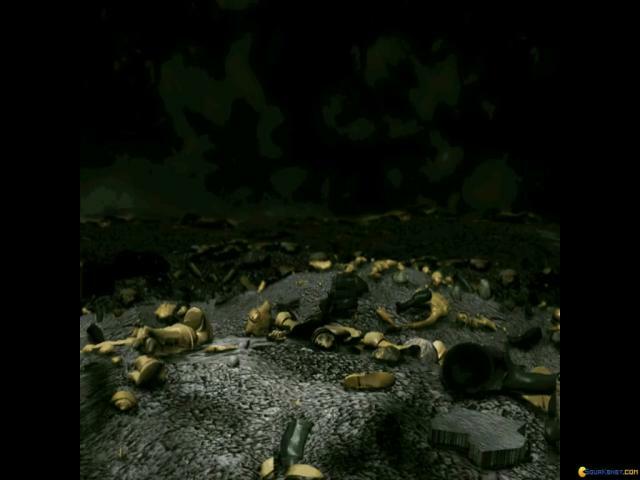 There is a lot to do, from simple recon missions to find and destroy missions and air support and much more. 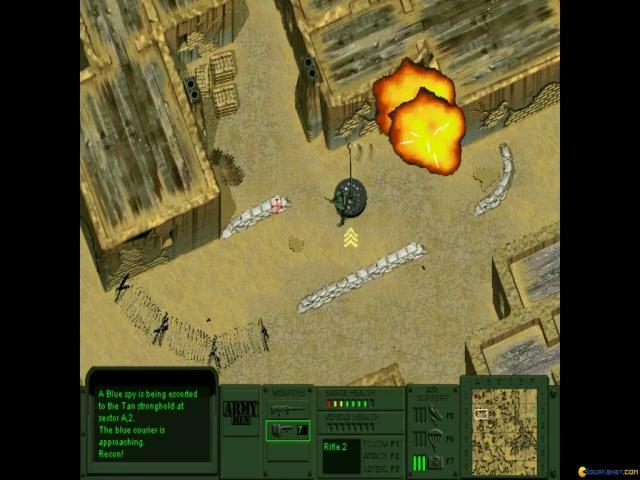 The game is huge, full of action and non-stop interaction. 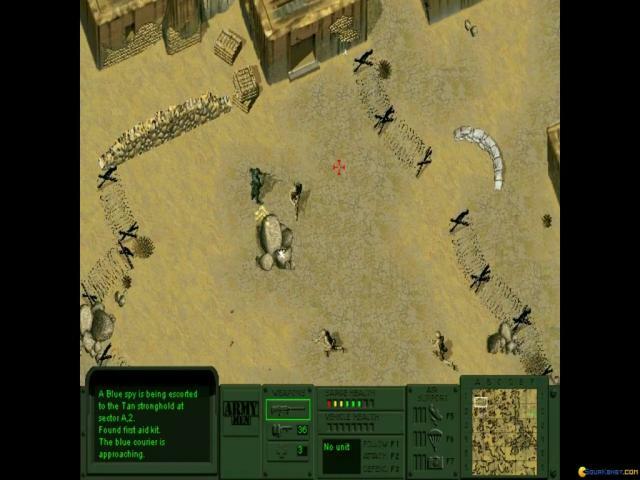 To this day there is a multi million fan base around this series of games and rightly so - this is a great and very fun strategy game that will appeal to all those kids that used to play with plastic soldier pretending they are at war. With this game, you can see your imagination come to life. Highly recommended! 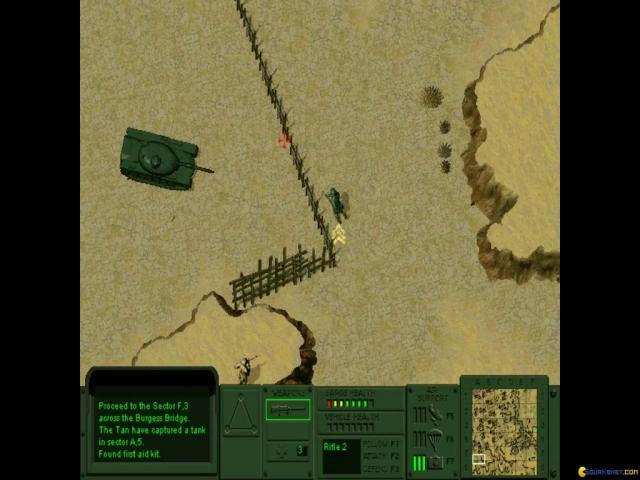 After you've finished with this game, you can go to the series sequel - Army Men 2.